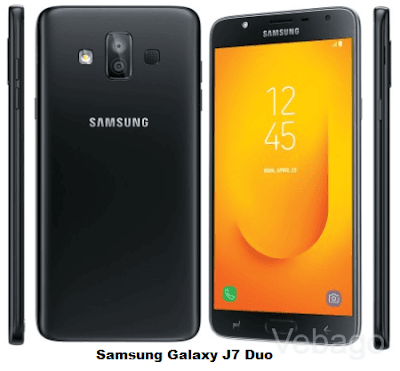 Samsung has officially launched the Samsung Galaxy J7 Duo smartphone in India. The device highlights with a dual rear camera and 4GB RAM. The device comes in Gold and Black color options and will go on sale in India from April 12th, 2018. The Samsung Galaxy J7 Duo is priced in India at Rs. 16,990. The smartphone features a metal unibody design and runs on Android 8.0 (Oreo) OS with 1.6GHz Octa-Core processor. There is a Fingerprint sensor embedded into the home screen button. The Dual SIM smartphone measures 153.5 x 77.2 x 8.2mm and Weighs 174g. It comes with 4GB of RAM and 32GB of Internal Storage memory, which can be expandable up to 256GB via micro SD card. Coming to the camera, it comes with 13MP + 5MP dual rear camera with f/1.9 aperture, LED flash for capturing your memories even in low-light conditions and an 8MP front-facing camera with f/1.9 aperture, LED flash for video calls and selfies. The dual rear camera captures portrait shots with background blur effect. The Galaxy J7 Duo has a 5.5-inch HD Super AMOLED 2.5D curved glass display with a resolution of 1280 x 720 pixels. There is a 3000mAh removable battery on the Galaxy J7 Duo smartphone which gives a day backup. Connectivity options on the Samsung Galaxy J7 Duo device come with 4G VoLTE, Wi-Fi 802.11 ac, USB 2.0 port, Bluetooth v4.2, and GPS.